When you think of T-Tops, what comes to mind? Maybe it is the Burt Reynolds and Jackie Gleason cult classic, Smokey and the Bandit. Or if you were into Cadillacs it could be memories of the power T-Tops in the ‘70s Eldorados. Interestingly enough the T-Top is a concept that has been around for somewhere near half a century. We saw telltale signs of them in the ‘50s concept cars and then the production versions in the ‘70s. 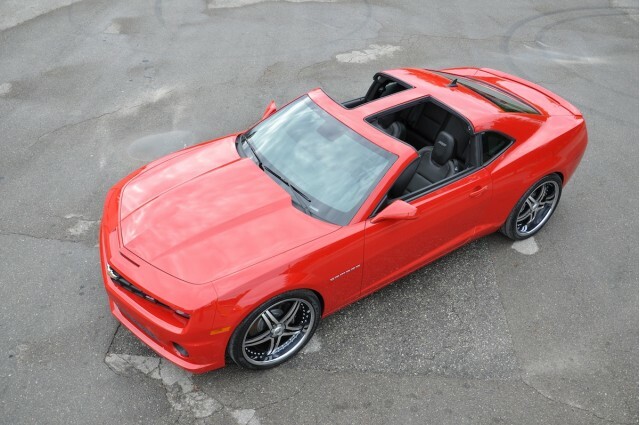 Even more interesting, the Chevrolet Camaro may very well be the longest running car model available with T-Tops; the newest generation being the first not available with T-Tops…until now. Supercharged and T-Tops…now that is where new meets old. Leave us a comment and let us know if you can’t live without one or think the ‘70s called and want their Camaro back. Personally, I think it is well done and continues the spirit of the Camaro. 2010 BMW 335i: Does It Get Any Better Than a Twin Turbo?